Interest rates remain on hold at 0.75% but anything could happen next. The great unknown is Brexit. It should help protect the value of money in the bank but it will also make mortgage debt in particular more expensive to service. The move sees rates reach their highest level since March 2009, when they were slashed from 1% to the emergency low of 0.5%. The Bank of England is predicted to increase rates in what would mark only the second rise since the financial crisis struck. The Bank of England downgraded its forecast for UK growth to 1.4% for 2018, down from 1.8% predicted in February. Why have interest rates risen and what does it mean? 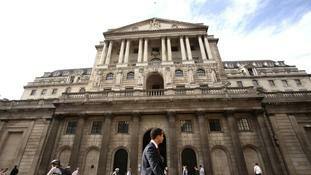 The Bank of England has voted to raise interest rates for the first time in 10 years. But how will it affect you? The move will come as a blow to millions of mortgage borrowers on variable rate deals - but will provide some relief for savers.